For more than 30 years, Dr. Ellen M. Scrivner has distinguished herself as an expert in public safety, police psychology, and law enforcement. She is currently using her extensive background to serve as an executive fellow at the Police Foundation in Washington, where she has been since 2012. The post allows her to advise police departments and other law enforcement agencies on topics like crisis intervention and changing leadership models. Prior to this, Dr. Scrivner held numerous positions in law enforcement. She began as a police psychologist at both the Fairfax County Police Department in Virginia and the Prince George County Police Department in Maryland. She moved on to become president of Public Safety Innovations in Washington, and deputy superintendent of the Bureau of Administrative Services at the Chicago Police Department. Other prestigious titles include national director of the high intensity drug traffic program at the Office of National Drug Control Policy, director of the John Jay College of Criminal Justice Leadership Academy, senior adviser at the FBI Office of Law Enforcement Coordination, and deputy director of the COPS Office of the U.S. Department of Justice. She was also a presidential appointee to the National Institute of Justice at the U.S. Department of Justice Administration. Notably, she received an invitation to testify for the President’s Task Force on 21st Century Policing in 2015. Dr. Scrivner’s career has allowed her the opportunity shape and witness enormous changes in the way police do their work. She understood that the best methods for keeping crime down was to institute community policing where police are visible in their communities, engaging in collaborative problem-solving to enhance public safety. An expert in crisis intervention, Dr. Scrivner is an advocate of crisis-intervention teams that pair police officers with mental health professionals who respond to individuals in a state of behavioral crisis. Her research in excessive force/violence, community policing, and police psychology has earned her a prestigious place in the criminal justice and law enforcement industry. She released her findings in publications like “Online Diagnostic Center Guide for Law Enforcement” and “Community Policing in the New Economy,” which were both published in 2015. 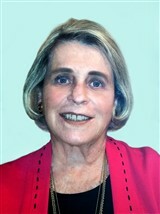 To prepare for her endeavors, Dr. Scrivner earned a Bachelor of Arts and a Master of Science from St. Louis University in 1961 and 1963, respectively, and a PhD in psychology from the Catholic University of America in 1986. She received certification in psychology from the American Board of Professional Psychology in 2013. Further, she joined prominent professional organizations like the American Psychological Association. Dr. Scrivner has received numerous accolades for her hard work and dedication over the years. She was honored with the O.W. Wilson Award from the Academy of Criminal Justice Sciences, the Women of Courage and Vision Award, the Lifetime Achievement Award from the U.S. Department of Justice, and the Distinguished Service Award from the American Psychological Association. Additionally, she was featured in numerous editions of Who’s Who in America, Who’s Who in the World, and Who’s Who of American Women.